This post suggests the content- oriented terms website’s stationary and stationary website for educational professional niche websites, as an addition to the traditional static/dynamic website definitions. It is an attempt to adjust the terminology to recent changes in website design methodology. The “Grossing Technology in Surgical Pathology” (www.grossing-technology.com) niche website is used as an example of the implementation of these terms. With an apology for superficiality, some words about the well- known aspects in the computer science in order to bring the readers closer to the subject of this post. In the past twenty years since Tim Berners-Lee introduced the first- ever website, actually the web page, more than half a billion websites have become ubiquitous in the civilized world, like running water. Although not so long ago the word blog had an undulating red line in a computer spell check, there are now, according to the Wikipedia, more than 172 million identified blogs around the world. What is the difference between a website and a blog? Although the definition of blog has been significantly diluted and blurred, the immediate answer is that a blog IS a website. Usually, this answer is followed by an explanation that there are static websites and dynamic websites. The latter are blogs. The background of this separation is that a blog has build in editing tools and the content can be manageable by a user, while a static website employs content management system (CMS) which requires professional development. For me, the word static has a visual appearance of a green duckweed pond. Unfortunately, this was very much justified by my website experience. 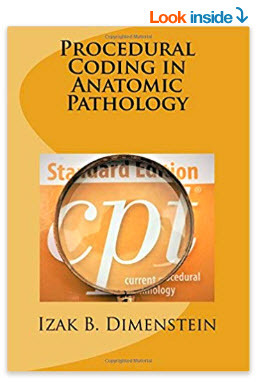 The original website, “Grossing Technology in Surgical Pathology”, was the embodiment of a static website in the depth of this adjective’s meaning. Depending on the webmaster, I could not change even a comma in the content by myself. But most importantly, the visitors could communicate with me only through my email address. I had to fish them out from the junk mail, which was not easy when the email’s subject was not distinct. Who knows how many good e-mails sank in the sea of unopened junk mail. During the time when this website was quietly decaying in its initial design, the revolution was brewing that culminated in the development of WordPress like software platforms. Now nothing prevents a former static website from being dynamic by making changes easily and engaging in interactions with visitors in the same way as dynamic blog websites. In the case of the WordPress platform, you can immediately change everything on the page or post, save the changes, and with the refresh key (F5) see the corrected page on the screen for common World Wide Web consumption. Moreover, web pages can be generated on the fly upon the topic’s request from the website’s pages content. With an unfortunate delay, the website was redesigned by using the WordPress development. Now it is completely different and has multiple components. As a consumer of this transformation, while lacking a deep understanding of the computer science technology, I want to have distinct terminology definitions of the website’s parts. This is the subject of this post. Static and dynamic are descriptive adjectives that only reflect the process of the website’s formation. How can the location of the website’s content be defined? And what this type of content-oriented multi component website can be called? I think that the website’s stationary would be an appropriate term for the website’s main informational media (articles, photos, videos, etc.). Yes, stationary as a noun (see below the explanation). This type of websites can be called a stationary website. It is synonymous with static, but different in connotation and usage. This is not an exercise in semantics, but an attempt to define the informational entity that arrived and formed with new software technology in a better way. For me, the website’s stationary term has more visualization than other descriptions such as main (too vague, and diminishes the other content), basic component (right, but of what, and two words), core (too laboratorial), permanent (actually not, because it is removable, and changeable), traditional (too vague), editorial (in general, correct, but with a newspaper allusion), and, at last, static. For full disclosure, this website’s webmaster prefers the basic component. The word stationary, an adjective, stems from the Latin stationarius, which means unmovable. Unlike the adjective static, which stems from the Greek word statos (also unmovable), the word stationary can be used as a noun more conveniently (The Webster’s New Universal Unabridged Dictionary: n. 5. a person or a thing that is stationary.) In our example, the stationary of the website. The word stationary is not in common use as a noun in US English, especially in British English. (My high school sophomore grandchild does not like it.) However, this is not necessarily a disadvantage. To the contrary, it can be a specific computer science term in general and a description of the website design in particular, at least for professional educational niche websites. By the way, the nouns browse, browser, and definitely web browser have become ubiquitous not long ago. Static as a noun is used more rarely and only in a negative connotation (static or atmospheric electricity, electrical disturbance noise, criticism, trouble). Of course, the confusion with stationery (paper and office supplies) ought to be avoided. Unfortunately in many occasions, companies offer office supplies using both words interchangeably. As a blogger recently wrote: “I’m surprised at how many people still confuse the correct spelling of stationery- the paper kind with stationary- the parked kind.” Search engines almost always suggest in the results pages stationery if you type in stationary in the query bar. By the etymology and meaning, the website’s stationary is closer to a station, for example a railroad station. Trains come and go, the station stays. The analogy can be broadened to the depot where the trains are cleaned, repaired, and assembled, like a stationary website that shelters and updates the content using modern software. By the way, in Latin statio means residency, abode. The website’s stationary is the place where the informational entities (pages, photos, videos, etc.) “reside” for a more or less prolonged sojourn. As a medical analogy, the website’s stationary resembles a hospital with a definite set of beds and services. A blog is like a hospital’s emergency department, the “fast responders.” The ancillary parts of a website (host, affiliations, etc.) are like clinics affiliated with the hospital. In Russia, a hospital is called the stationary. Here is a practical application of using the website’s stationary term for our “Grossing Technology in Surgical Pathology” website. It is an educational methodological laboratory niche website by intention, design, and content. Contrary to a hybrid website, it is monothematic. In composition, the website includes three main parts. The second part is the Grossing Technology & Beyond blog. It functions according to the rules of blog composition (posts are posted in the chronological order, they are shorter than stationary’s articles, sometimes they respond to current events or comments). Some posts can be sent to the website’s stationary in order to make the subject of a page’s article more comprehensive. Some fragments of the website’s stationary can be placed in the blog posts, if necessary, for a special attention. The third part includes ancillary components such as Meet the Site’s Host, and affiliates (links, advertisements). The site is planning to open Guest Corner and Odds and Ends sections. Finishing the description of the parts of the stationary website, I want to present an allusion to a station wagon car or a van with rows of seats, like articles/pages/photos etc., where kids are sitting, shouting, and changing places, but the car stays on the road. In the back, food and beverage are stored for fast consumption, like blogs, and other luggage items are stashed, like the ancillary components of the website. There is nothing unchangeable now on a website, even the front page, but the definitions of the static and dynamic websites should not be abandoned. For example, themes in WordPress, page templates, the “About” and Contacts pages are usually unchanging and technically can be called static. Perhaps, it would be reasonable to maintain the division on static and dynamic websites at the level of the formation of a web page, especially for simple websites (information, entertainment, etc.). start its recovery from the website’s stationary. This terminology essay rendered by a layperson in computer science and linguistics is an attempt of an Internet consumer to define in terms understandable for me the design of the website where I dwell. I have the usual excuse in my paraphrase: “’My webhome is my castle” the old British might have said if they had known the Internet.’ Sometimes, an outside perspective might be useful.